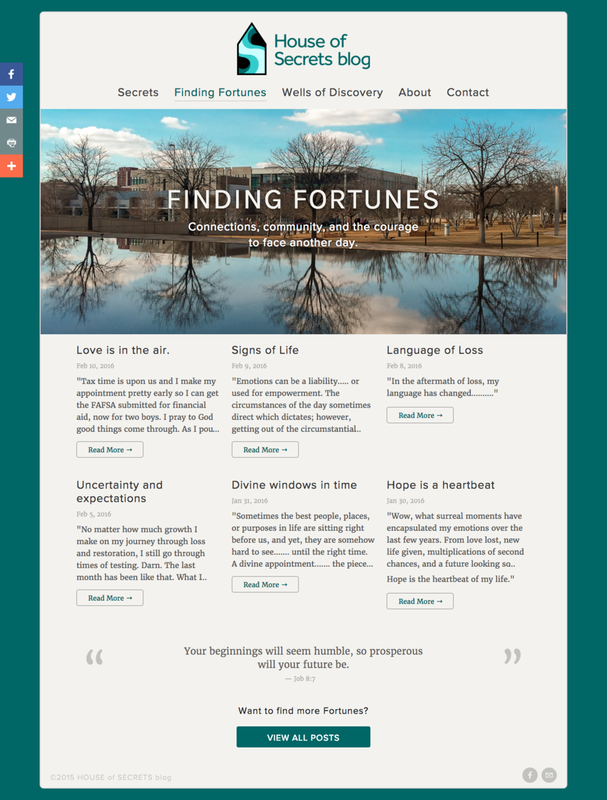 Dynamic branding and a modern responsive website for a new blog. 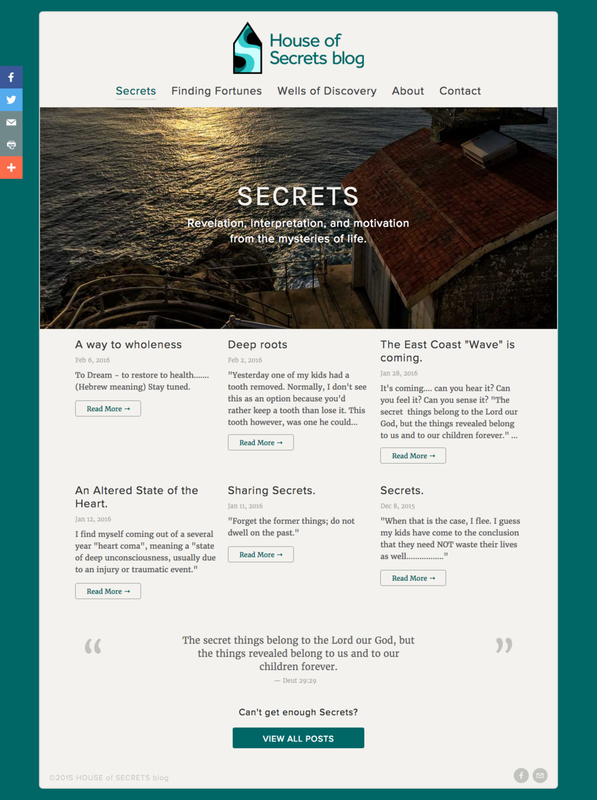 The homepage of the blog is designed to be inviting and engaging. A striking image makes an immediate impression that this is a place to be inspired about the future. A written introduction follows, along with brief overviews of the categories and their subjects. The category landing pages couldn't just be a list of blog entries; each category needed to be introduced to the user and ‘feel’ different, yet similar. I selected three photos from my travels that I felt represented each category and edited them to appear visually cohesive. The category title and descriptive subheadings are live text, overlaying the images and giving the reader an immediate introduction to the category. Typography, layout, and colors were designed for optimal legibility. Font sizes and line-heights are generous. There is plenty of white–space so text can breathe. 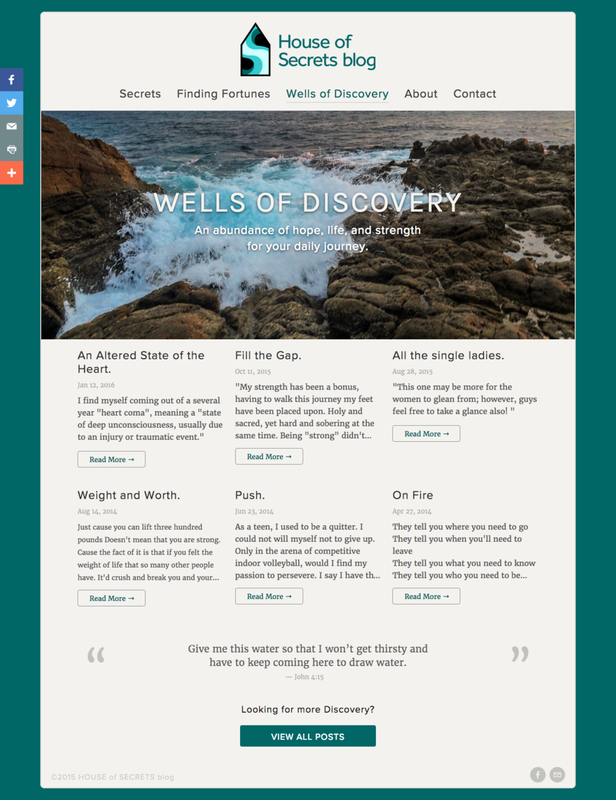 The off–white background color and gray font color are softer on the eyes than black on white. 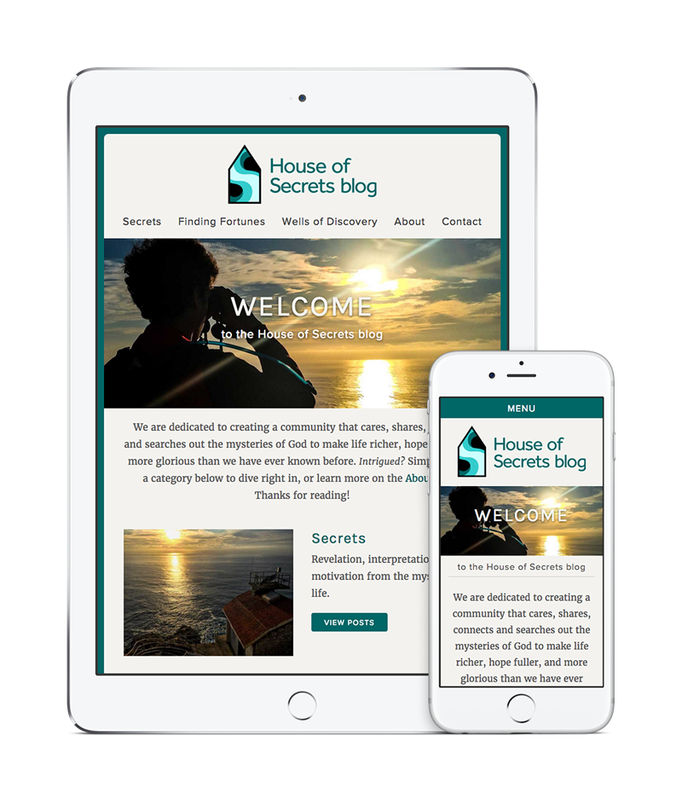 The House of Secrets Blog identity needed to feel strong and grounded, yet fluid and progressive. Inspired by waves, the flowing ‘S’ is anchored inside of a house–like structure, representing the constant movement inside the ‘House of Secrets’.